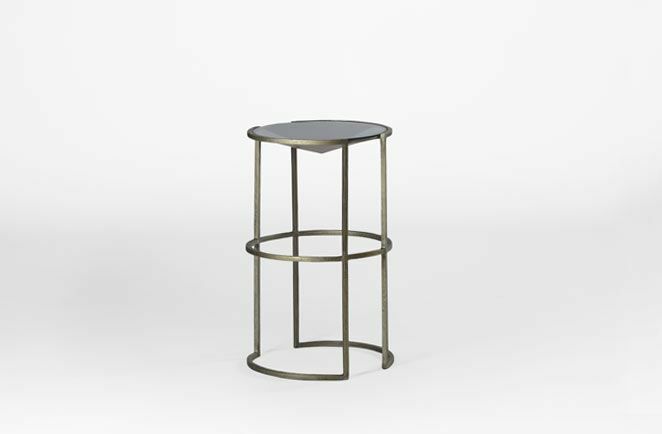 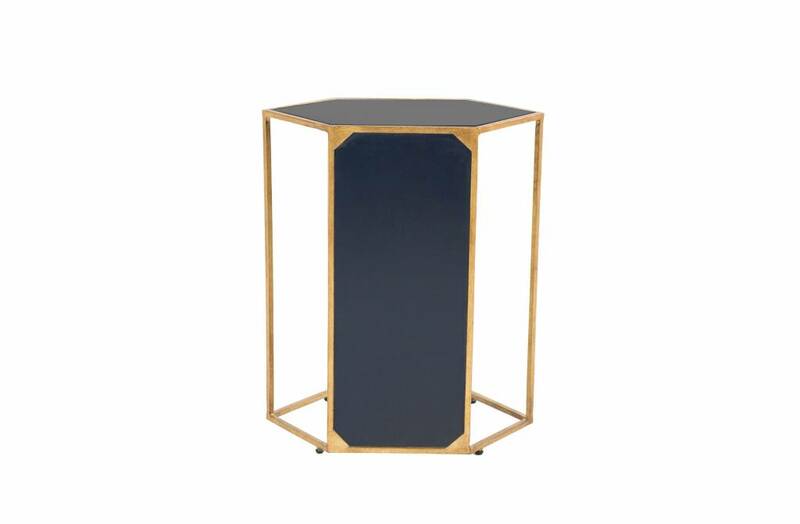 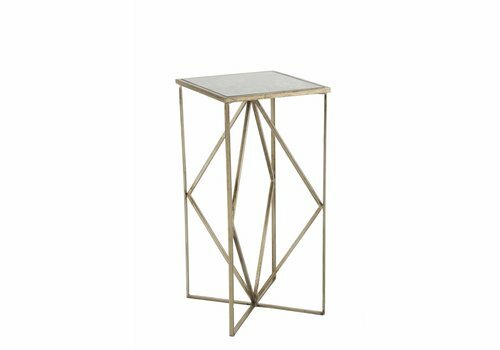 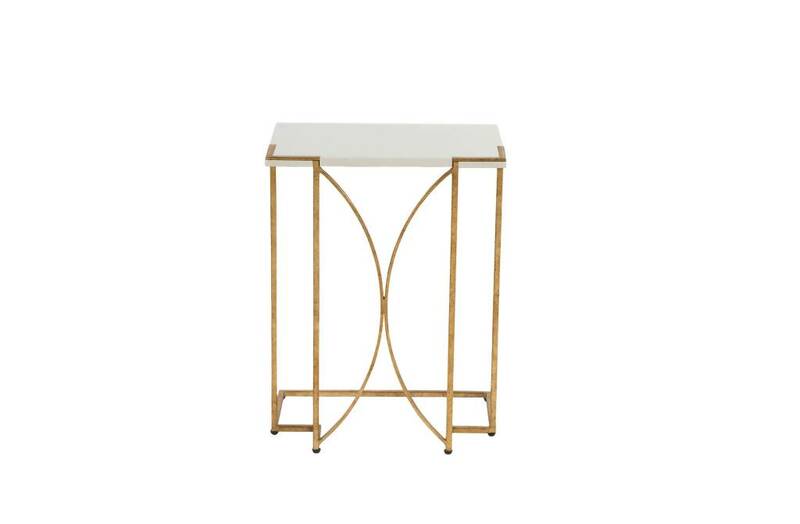 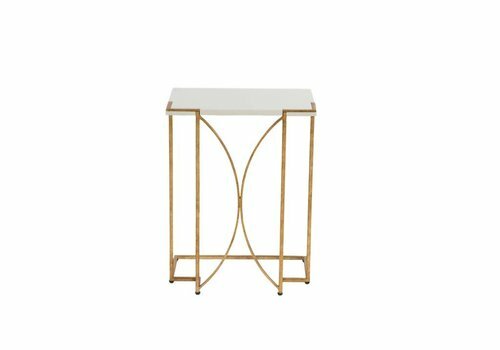 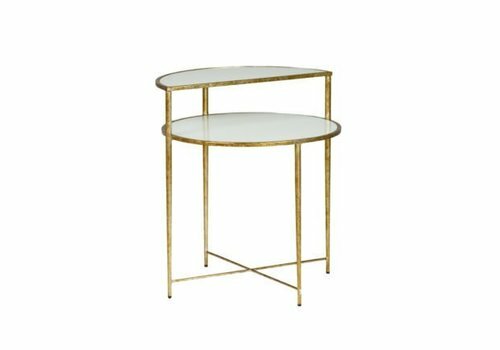 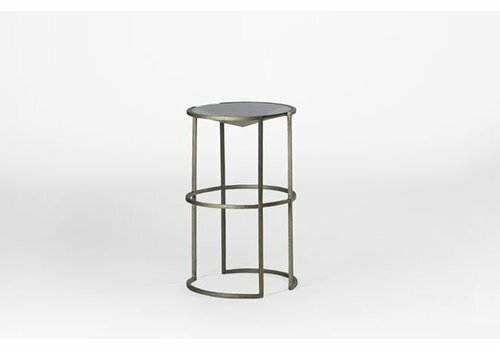 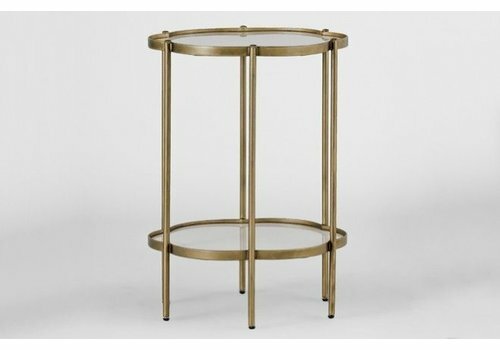 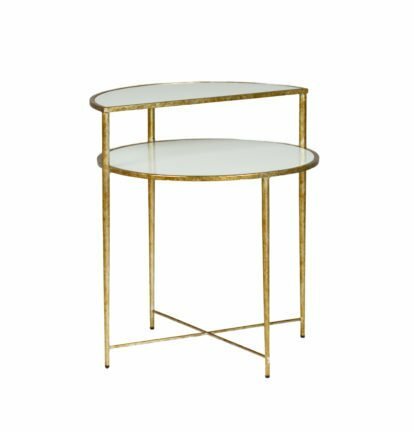 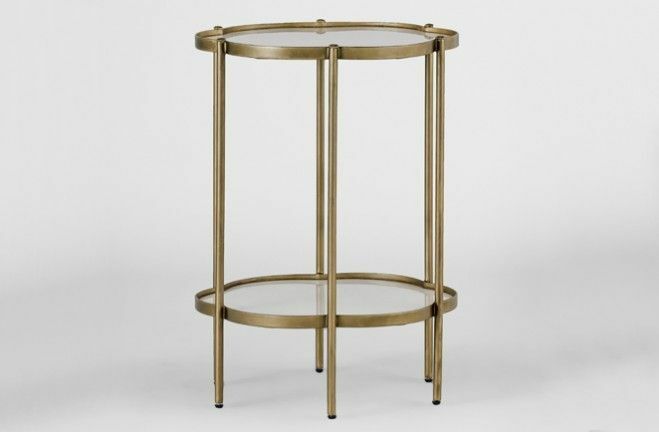 Created for both beauty and function, this two layer side table made from white glass and champagne metal features a demuline- shaped top shelf for extra storage. 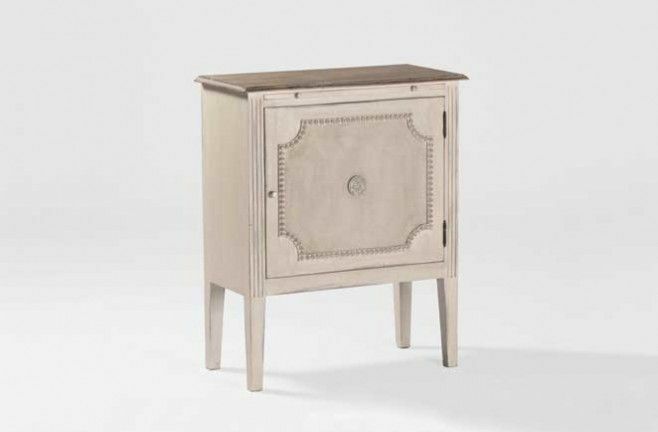 Painted white burlap, hand-carved molding, and a metal rosette add style and elegance to the front of this French-inspired side table. 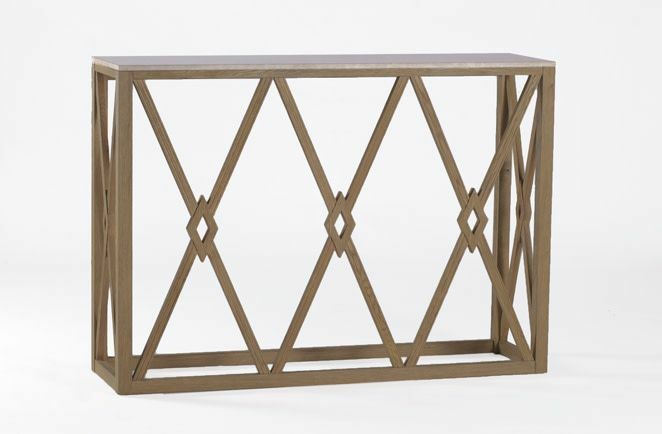 An extension panel above the door helps you create a larger surface if needed. 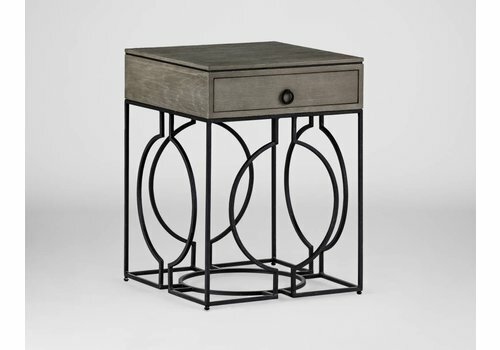 This is the perfect bedside table. 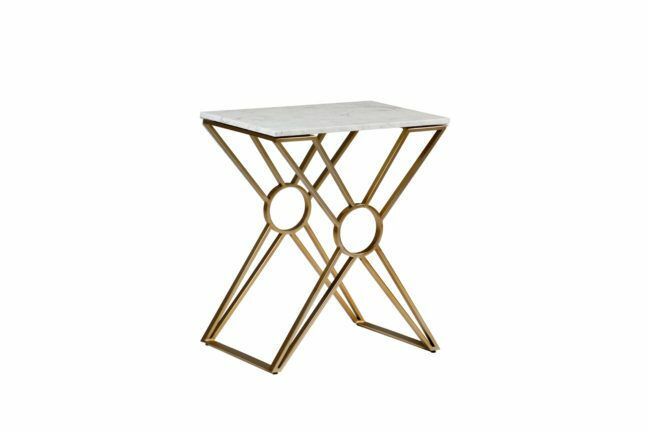 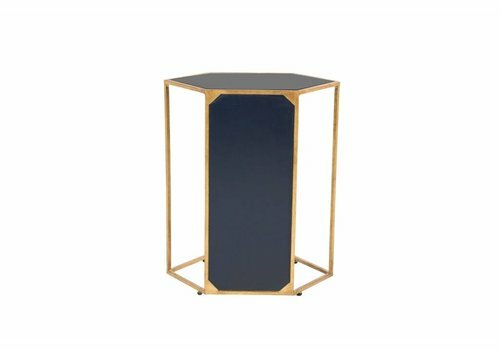 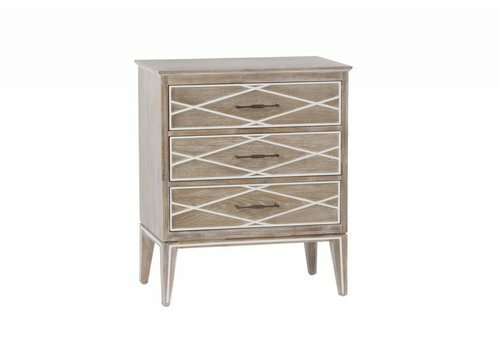 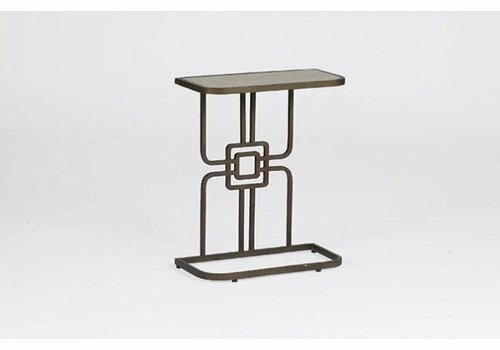 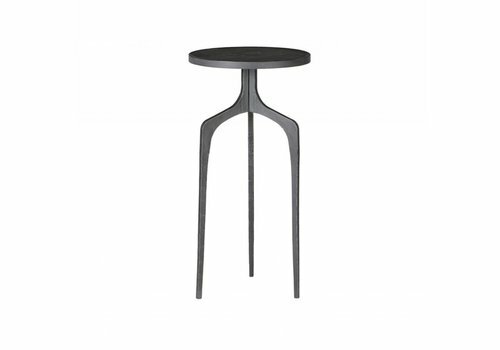 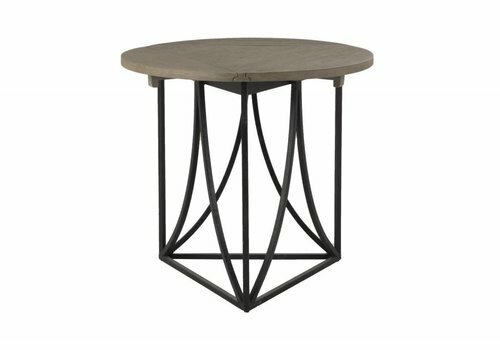 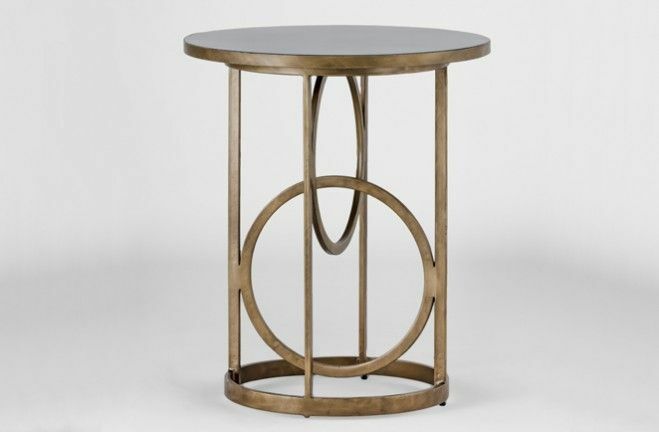 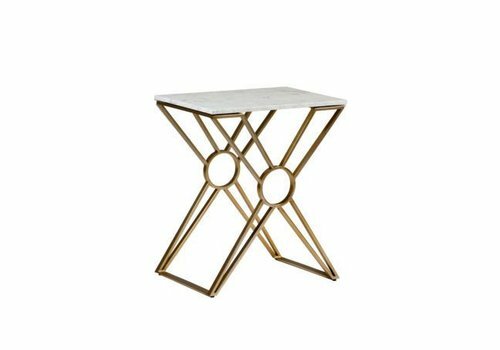 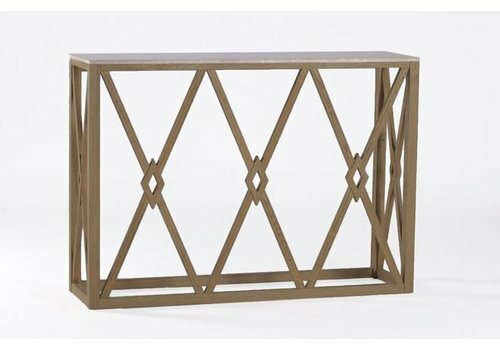 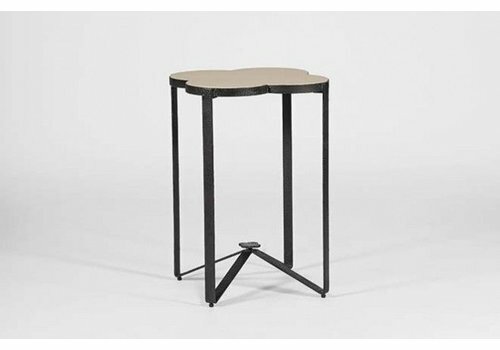 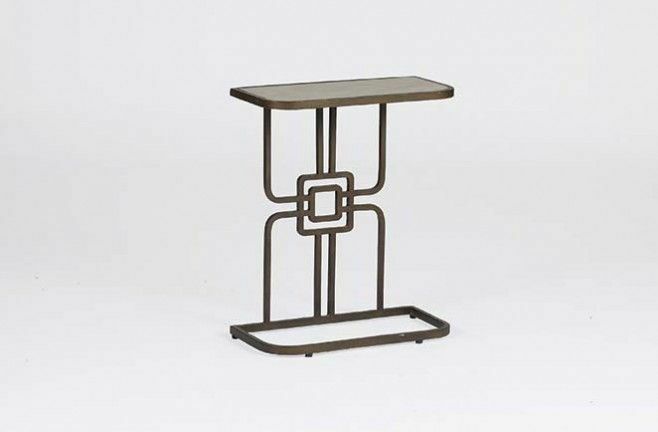 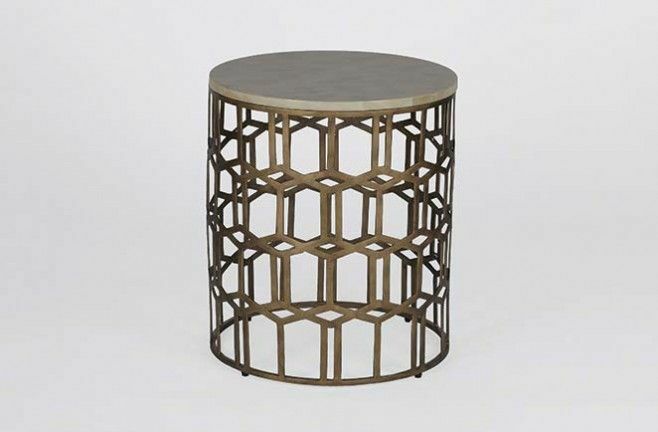 Allow this unique table to transform any space with its transitional design. 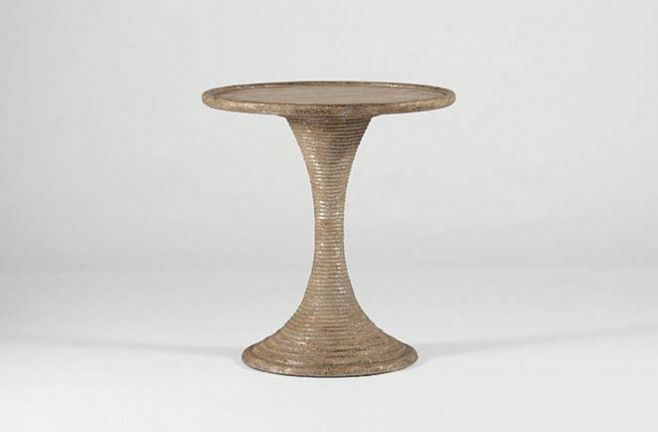 Three circular shapes are merged together to form the organic shape of its beautiful matte white stone top. 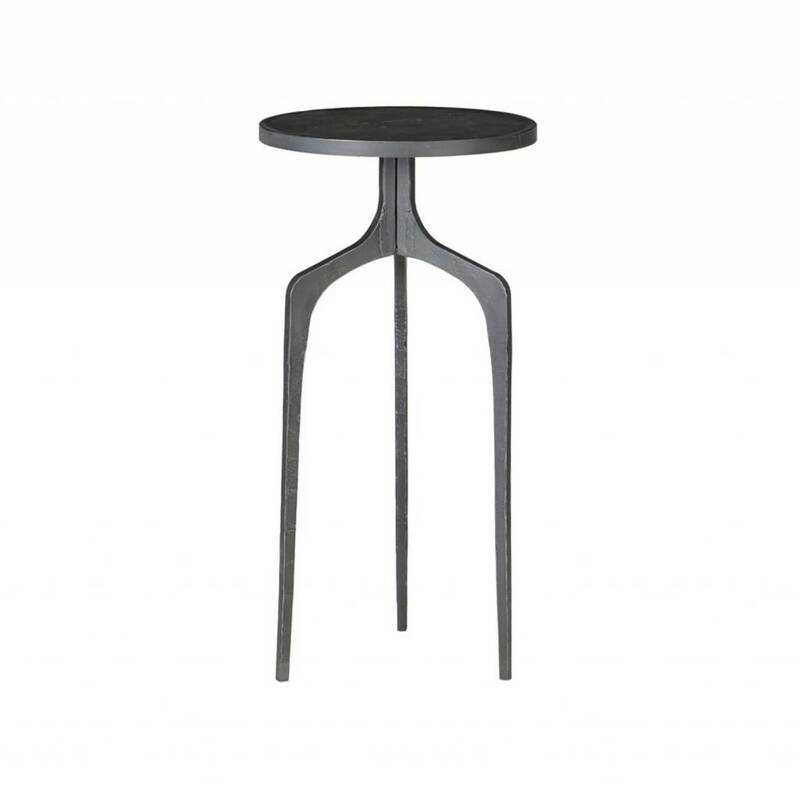 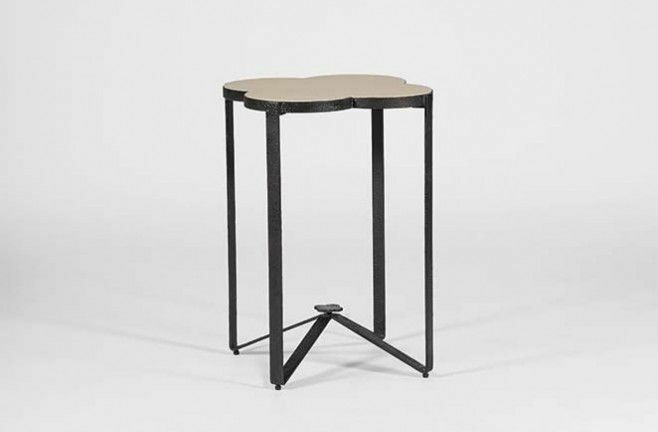 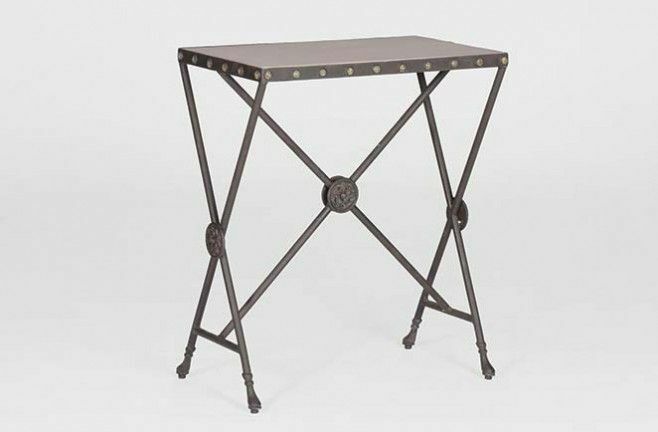 Featuring black rust finished iron legs and a triangular stretcher. 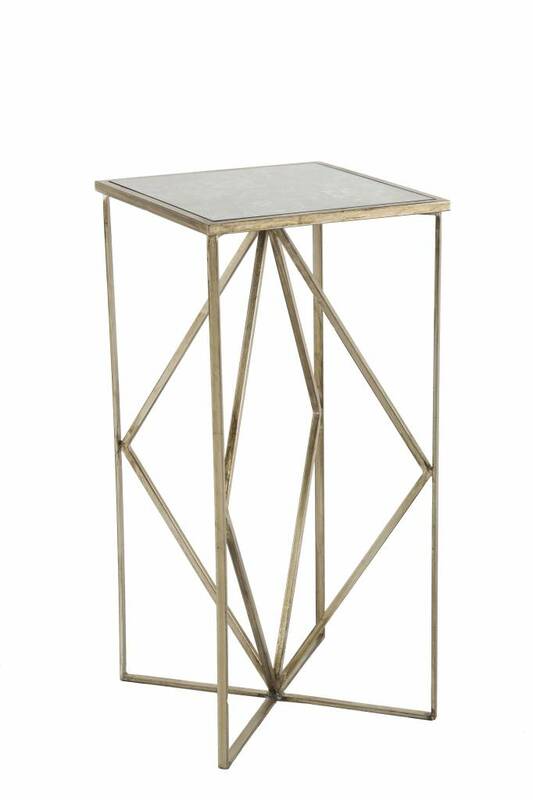 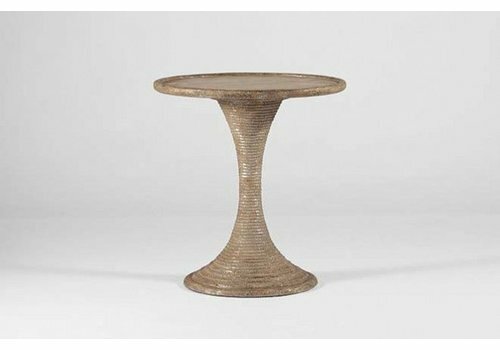 The eye-catching Gloria Table features a grooved hour glass shape and an antique gold and silverleafed finish. 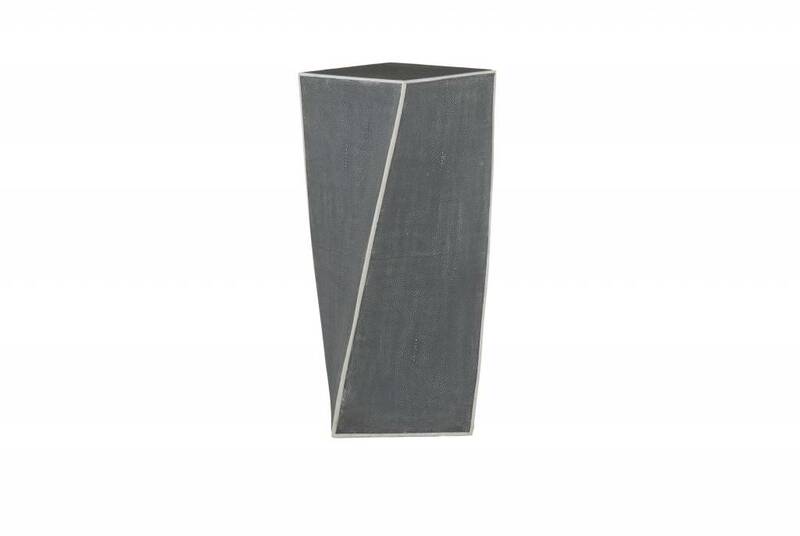 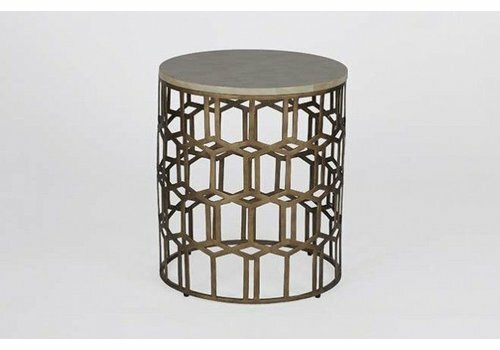 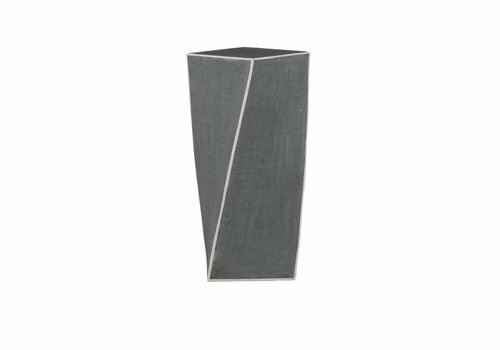 A thin silver line rounds the edges of the circular top giving this side table the perfect finishing touch. 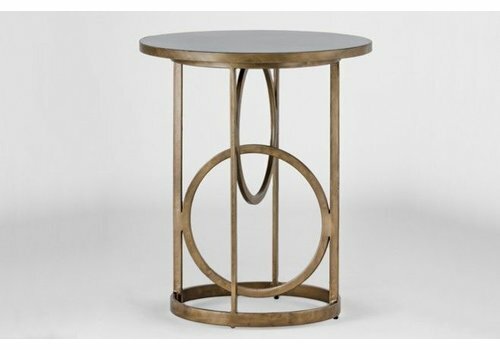 Looking for a great cigar table? 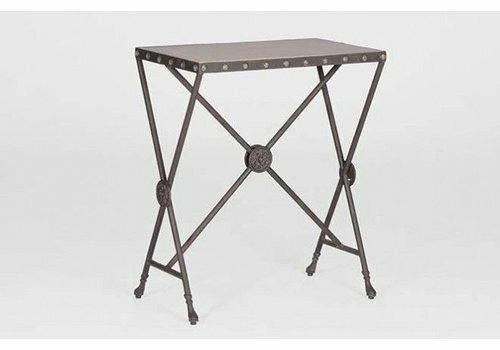 Be sure to check out the Gilbert Table, with its solid iron base and white faux-bone top. 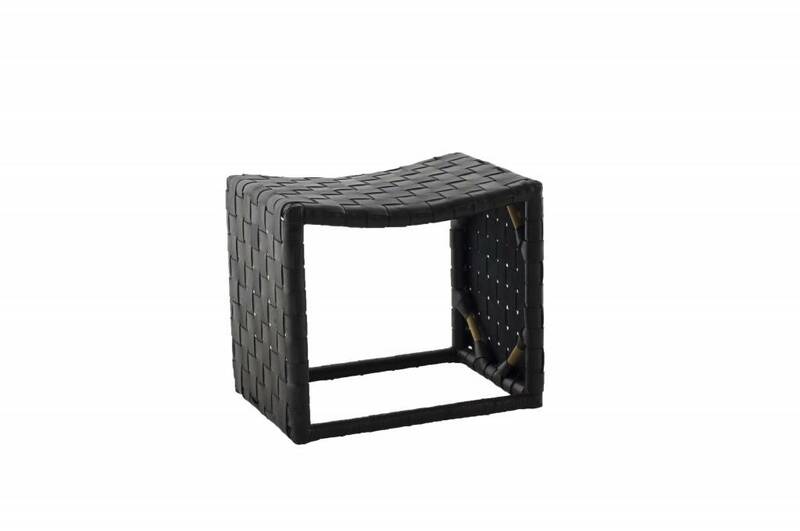 Elegant and functional with a one-sided base that can easily slide under the sofa to use for a snack or to work from your laptop. 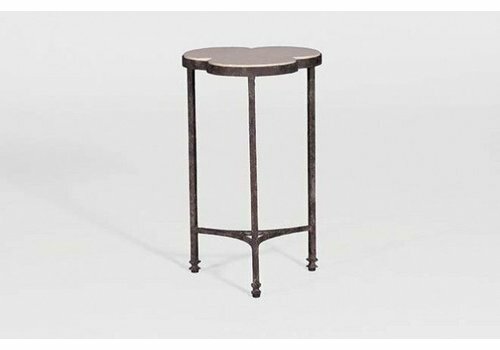 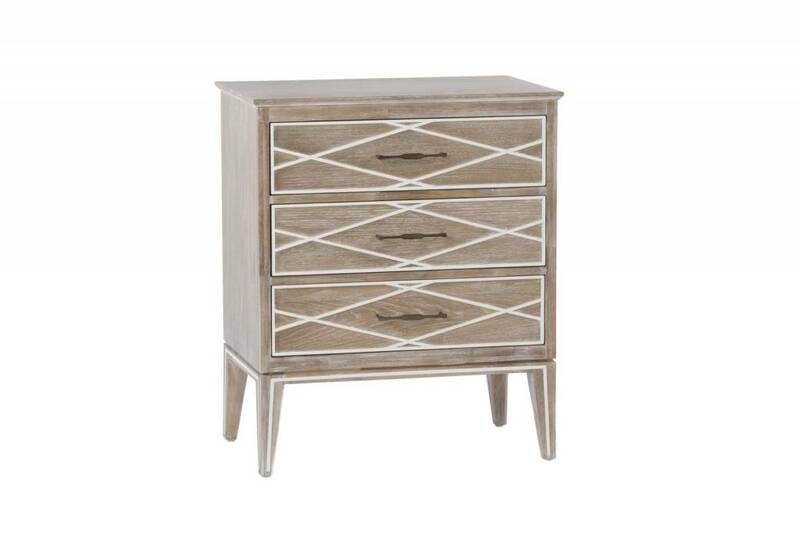 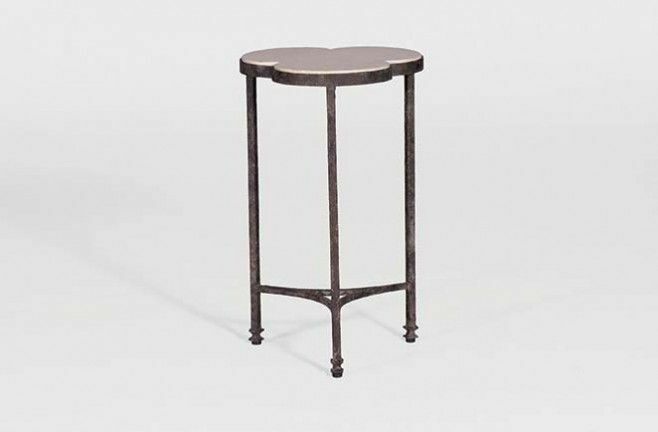 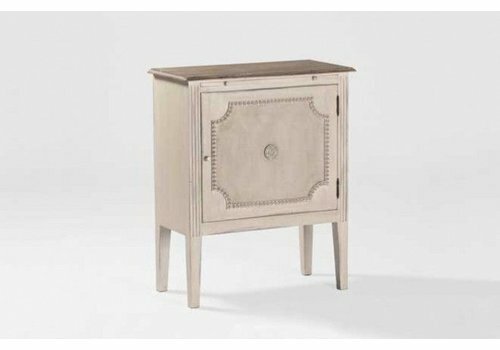 Distressed nail heads outline the natural limestone top of this striking French replica side table. 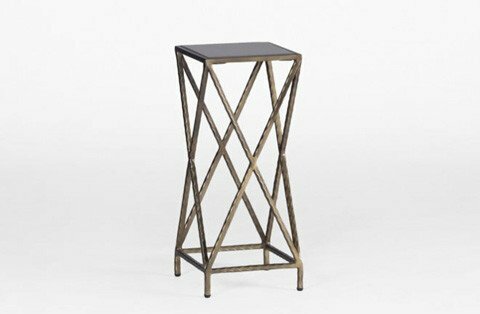 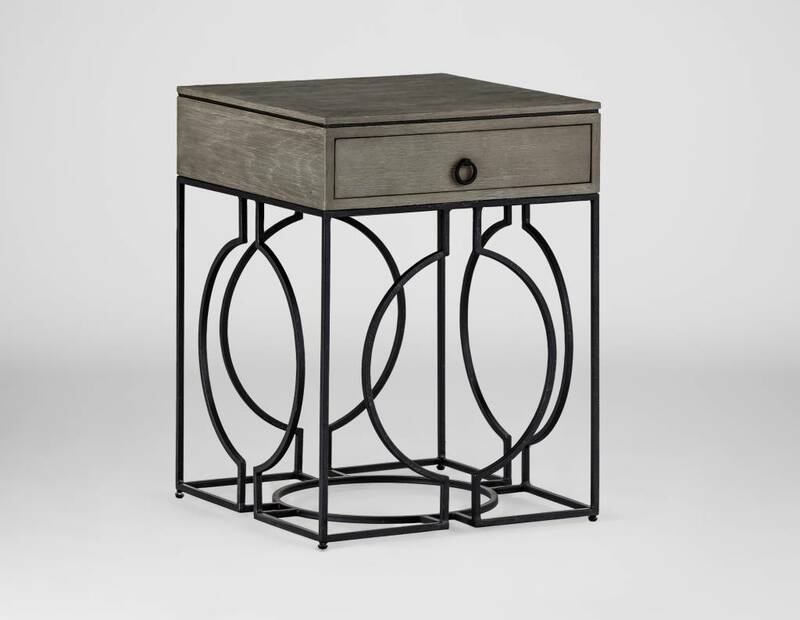 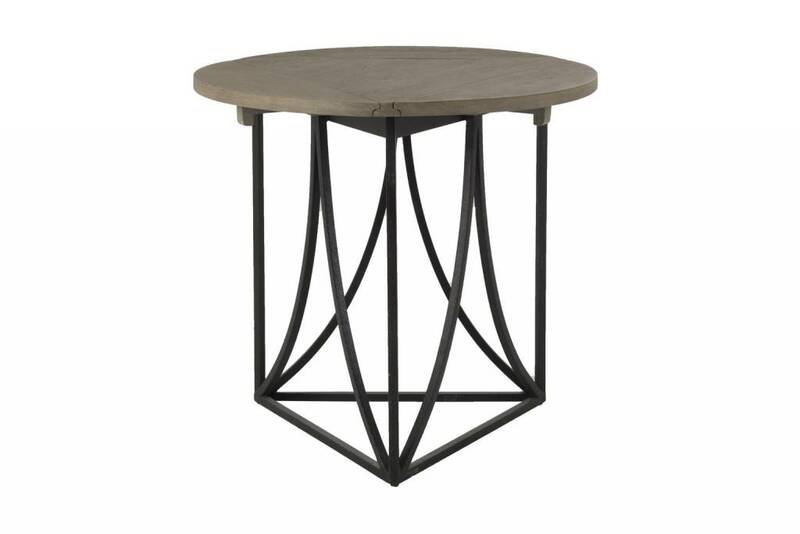 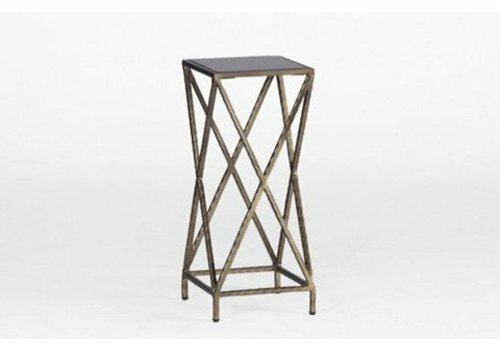 Lightly gilded cast rosettes add an elegant detailing to the sides and center of the table’s iron legs finished in a classic antique black finish.